"If there is one thing I have A LOT of laying around my studio is painted canvas scraps and pens and pencils. 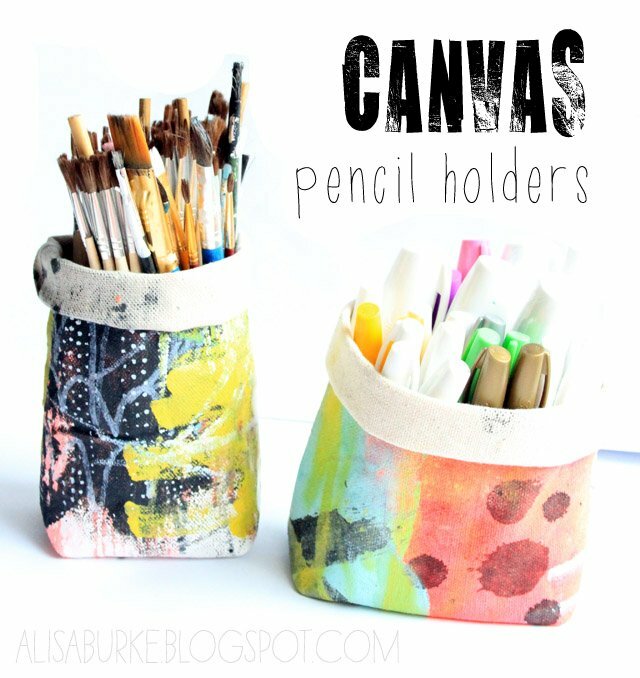 "So when I needed to organize supplies, I decide that all those canvas scraps would be perfect for making some cute little pencil holders!" 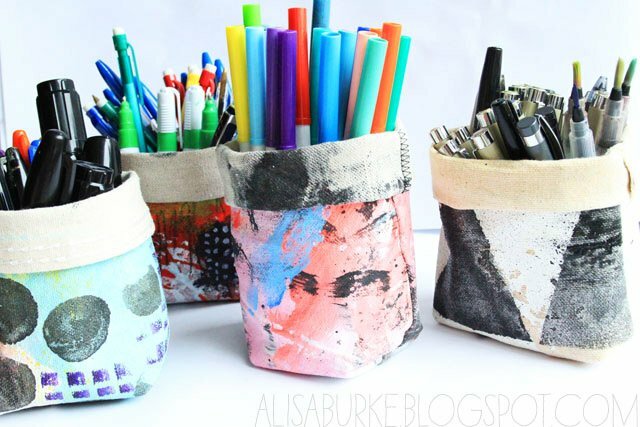 What do you think of these pencil holders?